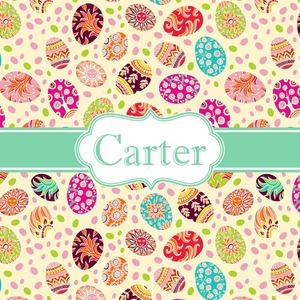 Celebrate Easter with this graphic and whimsical design! 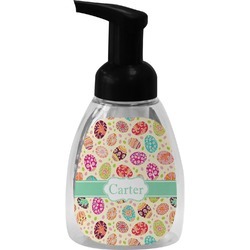 Featured in the design are multicolored, patterned Easter eggs and pink and green jelly beans on a cream background. You personalized this design by changing the color of ribbon and adding your name or other text. Our design is shown with a cream back, but the background color can be customized.